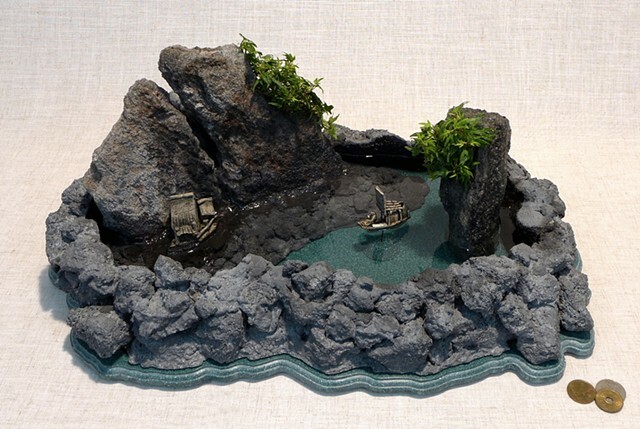 This imaginary shoreline is reminiscent of the secluded lagoons among the islands of the South Pacific. A waterfall splits the mountain and tumbles into the lagoon where a fisherman is returning to the hut perched along the shoreline. The walls of the tray were fabricated of feather rock fragments and cement. The bottom was formed from a reclaimed Corian remnant.